A while back while in St Augustine, Florida I chanced upon an Alec Bradley Fine and Rare cigar. I was in Stogies cigars shop in old town checking out the humidor and asking about cigars when this cigar was recommended to me. The asking price $25.00 but I was offered a “best brother-inlaw deal” of $20.00. I thought what the heck, I can do a review for the blog, so I went ahead and purchased it. 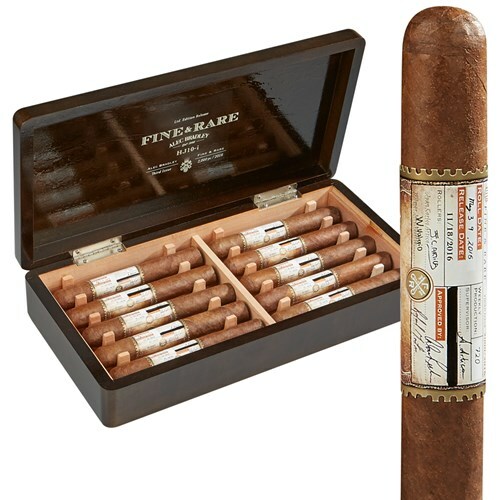 Fine & Rare is a limited-edition Alec Bradley cigar rolled with 10 different tobaccos, Since 2011, the company has released small quantities of its most complicated cigar blend, rolled in different shapes with Honduran and Nicaraguan tobaccos from various regions and crop years. JRS10 = (86) measures 6 1/2 inches by 56 ring gauge. This year, the company is calling the size Gran Toro. The parejo is made with a Honduran wrapper from Trojes draped over a double binder from Nicaragua and Honduras, with a variety of Nicaraguan and Honduran filler tobaccos. The cigar is typically priced at $21.90 and ships in eye-catching boxes that hold 10 cigars and are designed to look like zebra wood. Only 2,500 were released on October 24. One reviewer said that when he observed the Alec Bradley Fine and Rare cigar, he was shocked to find a flavor profile that was more unique than any other that he had ever tried. The reviewers all commented that the pre-light aroma was one that would tantalize the senses. Not to mention the flavor profile, once the stick was lit, included wonderful offerings such as flavor notes of fruity jelly and cold cut ham. In the background, their was said to be a taste of spice, wood, and a much defined sweetness that one reviewer likened to bubble gum flavoring. Supposedly those who reviewed the Alec Bradley Fine and Rare cigar all agreed that this was an exceptional example of great tobacco taste. Alec Bradley company will not divulge what filler tobacco went into the Rare and Fine. They will only say that seven different Nicaraguan tobaccos make up the filler. The binders are made of Honduran and Nicaraguan tobaccos. The wrapper originates from the Trojes farm in Honduras. The result is a completely unique type of blend that when bundled together delivers a one of a kind stick to the smokers who love a complex cigar. This is what I read about this cigar online! So I went ahead and did my own video review on the Fine and Rare and you will probably be surprised what my conclusions were about this fine and rare discovery. So I wonder what happened? Somehow I missed out on the bubblegum and ham. The fruit Jelly also eluded me and I’m not sure which spices they tasted. 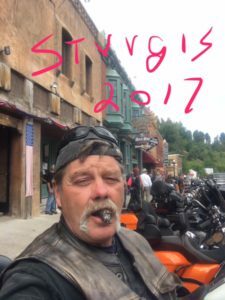 In all honesty, on any given day it’s possible to get a cigar that doesn’t quite measure up, but we are talking about a $25.00 cigar here. I am a fan of Alec Bradley cigars and they have many (in my price range) that I enjoy immensely. Just today I smoked a MaxX that really tickled my pallet and reminded me of one of Sylvains Zemis Cigars (which I would choose between the two). The bottom line is that the big cigar companies have the money to spend on marketing of their products and they can spend a fortune promoting their cigars. This is most unfortunate for the little guys, since their are so many cigar manufacturers out their that produce some fantastic cigar and get very little recognition, Ohana, Mbombay, Profeta, the Dady Mac by Cornelius and Anthony Just to name a few. That’s not to say that their are not cigars out their worth that kind of money, their are, but you should probably watch a video review on whichever one you are considering spending that kind of cash on, unless you have money to throw away and don’t care about value for your buck. You may be one of those people who just likes to show off the expensive stick in front of your friends (ahum), but if that’s the case, you probably haven’t gotten this far in my post. Anyhow folks, that’s my cigar review of the Alec Bradley, Fine and Rare! Hope you enjoyed it and don’t forget to leave comments and questions below. Should you have a different opinion than me about this stick, I encourage you to go ahead and let me know down their! what a neat store.I love these old places,what a great time you had.thanks for shareing. 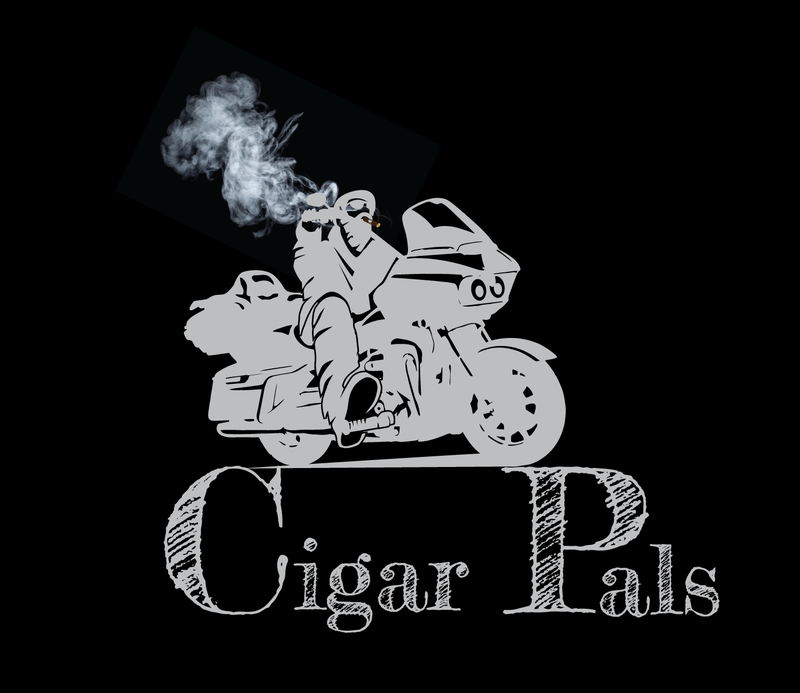 Hi Renee: Thanks for your continued support for Cigar Pals. I think you were talking about the previous post about Smoke House Cigars. The fact that you commented on a different post is most encouraging, because that means that you are looking at more than one post, which is good for my ranking on Google. I’m glad that I could provide you with a little South Georgia History and encourage you to keep checking in, since we are in Cigar City, Tampa Fl and I will be doing several blog posts from here. The Alec Bradley sounded alittle to good to be true.Kind of makes me wonder?Like expensive perfume that smells like bug spray.The ingredients sound like a snack recepe.Maybe that’s why its limited. Truth be told Renee, that was a good cigar, my problem was that I just didn’t think it was worth $25. I know nothing about perfume, but many times companies can inflate their prices just because of their name. Thanks as always for following the blog. I just posted a new story about St Pete Cigars you might want to check out, it’s called Lets have a cigar!